Imagine someone who looks exactly like you, dresses like you, walks like you. He says the same things you would say, answers questions with the same answers, and makes decisions using the same logic. His body is built in the exact same way. His brain is a mirror image of yours. The only thing he is missing is consciousness. Meet the philosophical zombie. When philosophers talk of zombies, they aren’t thinking of shuffling Halloween humanoids that will eat your brain. They mean something much more frightening. Something that’s being debated every night at The Geary, in A.C.T.’s production of Tom Stoppard’s The Hard Problem. 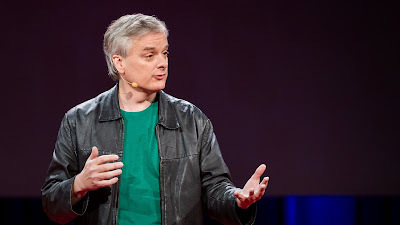 Think of any modern philosophical theory about the mind, and Australian philosopher David Chalmers has probably had his hands on it. He is famous for coining the phrase “the hard problem” to describe the as-yet unanswered question of how a physical brain can create consciousness. Some aspects of consciousness are easy to explain. If you put your finger into the flame of a candle, your brain interprets that as pain, and you pull your finger away. But what about emotional pain, like sorrow, despair, and loneliness? What creates that? So far, scientists agree that consciousness exists, because we all experience it. But no one has been able to figure out where consciousness comes from. Is consciousness some kind of stuff that you could theoretically hold or see, coming from actual things happening in the body (like neurons firing)? Or is consciousness something else, something separate from the body entirely? In the second week of October, A.C.T. 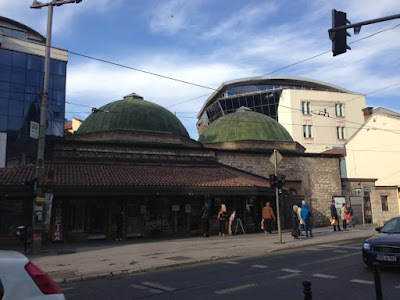 sent me to present at the European Theatre Convention (ETC) and to attend the International Theatre Festival MESS in Sarajevo. ETC is a yearly gathering of European theaters of all sizes, with a variety of aesthetic values. Comparable to America’s TCG conference—which hosts hundred of American theaters every year—the ETC convention is a place for member theaters to dialogue about challenges and to develop strategies for future success. A.C.T. was commissioned by the Goethe–Institut, a German cultural institute with an international reach, to produce a ten-minute play exploring the theme of digital privacy. Philip Kan Gotanda was selected to write our play and I was selected to direct it. Because A.C.T. has an M.F.A. Program that is central to its artistic mission, we’re particularly curious about how our students are complicit in the exchange of sensitive personal data when using social media platforms. With Halloween’s ghosts and ghouls just around the corner, A.C.T. is getting ready for Spooked at The Strand, its fabulous, fundraising, costume party in aid of M.F.A. Program scholarships. As A.C.T.’s costume shop swings into action to outfit Spooked attendees and student actors alike with show-stopping outfits, we snuck behind the scenes to talk with Conservatory Director Melissa Smith and find out what surprises guests have in store throughout the evening. What inspired A.C.T. to start this fantastic charity event? 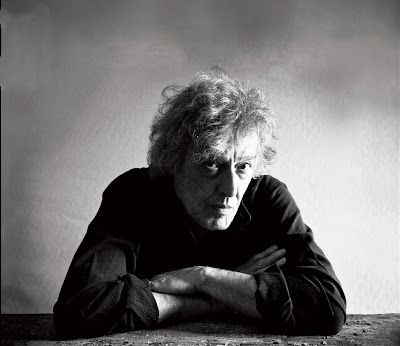 After 17 productions at A.C.T., Tom Stoppard has become part of Geary Theater lore. In these works, he has explored a wide range of topics, from philosophical paradoxes, political dissidence, and evolutionary biology to murder mysteries and landscape gardening. In between rehearsals for The Hard Problem—which runs through November 13—we caught up with Stoppard to talk about consciousness, computers, and chaos. In The Hard Problem, you focus on chaos and rationality, which affect both the stock market as well as Hilary’s intellectual exploration into consciousness. Why? For a long time during my intelligent years, from about 1950 to 1995, the computer was considered to be a paradigm for the human brain. A lot of people still think it is, and I found that I was resisting the idea. Between voice coaching sessions, country-music rehearsals, and fight calls involving horseshoes, we caught up with Stephen Buescher, the director of A.C.T. Master of Fine Arts Program’s production of The Taming of the Shrew. Shakespeare’s classic comedy about the battle of the sexes will open with a cowboy twist at The Strand Theater on October 20. This is the first Shakespeare production at A.C.T.’s Strand Theater. Yes! Part of A.C.T.’s mission is reinventing classics. We hope that The Strand can be somewhere where we can help people see classics in a new light. 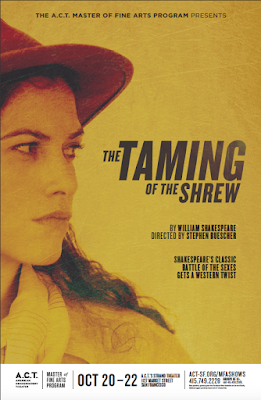 It seems like you’re really reinventing The Taming of the Shrew—you’re setting it in the Wild West. Every 28 Hours at A.C.T. For A.C.T.’s Community Artistic Director Tyrone Davis, theater is an art form that can bring people together and start a conversation. Davis has been instrumental in bringing together theaters from around the Bay Area—A.C.T., Berkeley Repertory Theatre, FaultLine Theater, Lorraine Hansberry Theatre, Crowded Fire Theatre, and Campo Santo—for an arts festival and production of Every 28 Hours, 75 one-minute plays inspired by the Black Lives Matter movement. 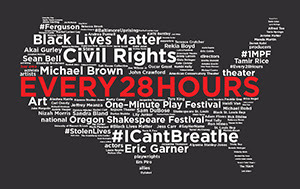 Co-created by Dominic D’Andrea (One-Minute Play Festival) and Claudia Alick (Oregon Shakespeare Festival) in 2015, Every 28 Hours takes its name from a study that revealed how frequently—every 28 hours—a black person is killed by police or law enforcement in the United States. What do you get when you cross game theory with neurobiology? Tom Stoppard’s The Hard Problem, which runs at The Geary Theater from October 19 to November 13. In this play, Stoppard is particularly interested in the Prisoner’s Dilemma, a game theory scenario invented by Merrill Flood and Melvin Dresher in 1950. 1. 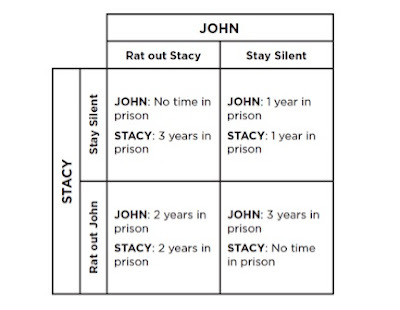 If John betrays Stacy and says that she committed the crime, but Stacy stays silent, then John will get no time in prison, while Stacy will get three years. Annette Bening and Mark Harelik Visit A.C.T. The morning after their wonderful performance in Dear Liar, an A.C.T. 50th-anniversary event held on Sunday at The Geary, M.F.A. 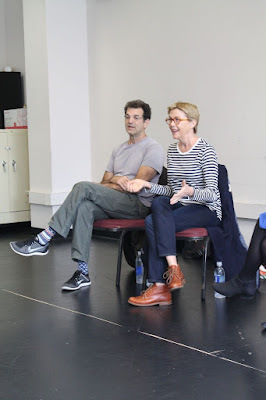 Program alumna Annette Bening and former company member Mark Harelik spoke to seventy students, faculty, and staff about their careers both on stage and on screen. A.C.T. hosts these conversations as a way for Master of Fine Arts Program and San Francisco Semester (SFS) students to learn from those in the “real world”: those actors and production members who have bravely stepped beyond their four classroom walls and succeeded in the competitive and intimidating landscape that is the world of acting. October has certainly gotten off to an exciting start at A.C.T.—you can really tell that our 50th anniversary is in full swing. 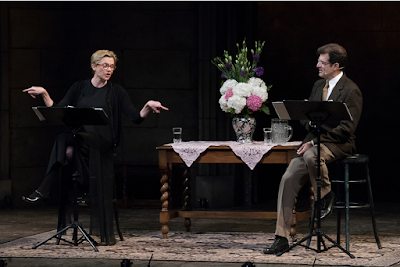 In the span of two days, the Geary stage was graced by actors Annette Bening and Mark Harelik, playwright Tom Stoppard, and neuroscientist Linda Wilbrecht. On Sunday, October 2, Bening and Harelik joined up for a staged reading of Dear Liar, Jerome Kilty’s witty two-person play based on the letters between playwright George Bernard Shaw and his muse, Mrs. Patrick Campbell. The two actors have a long history with A.C.T. : Bening graduated from the Advanced Training Program (precursor to the M.F.A. Program) in 1983, and Mark Harelik was a company member in the ’80s. A.C.T. was thrilled to welcome them back for this reading, directed by Nancy Carlin, which they performed with a strong sense of sass in a performance that was free and open to our donors.